Lovely amethyst beads are hand strung on this stunning Prayer Bead mala. 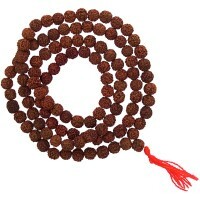 Wrap around your wrist as a bracelet to absorb the energy when not in meditation. 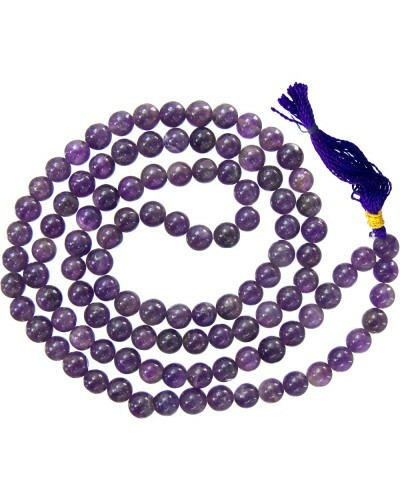 This beautiful purple stone is aligned with the crown chakra & the element of water. 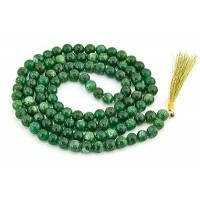 It is receptive, increases psychic awareness, enhances meditation & visualization, calms fears, is healing, manifests dreams, good for peace, love, happiness & protection. 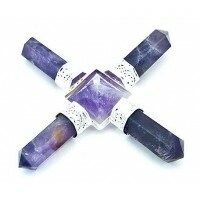 Amethyst is aligned with the crown chakra & the element of water. 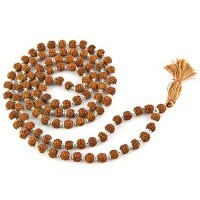 It can be used to release addictions of all types & it provides protection from negativity. Amethyst is a stone of spirituality & contentment. 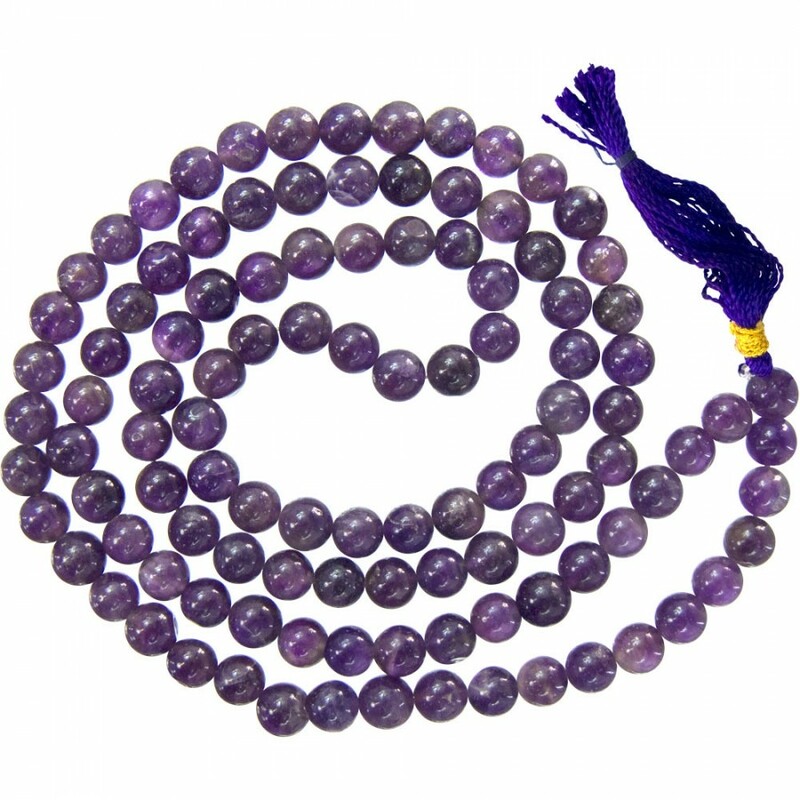 Great for protection, peace, and happiness prayers, this mala of amethyst beads is a wonderful tool of meditation and transformation. 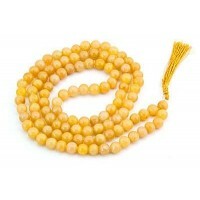 This handmade strand of natural beads ends with a tassel (color may vary). 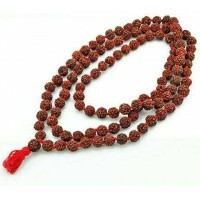 Item Number: KK-98002 | Approximate Size (Inches): 0.25 wide x 0.25 deep x 34.00 high | Approximate Shipping Weight: 0.50 lbs.